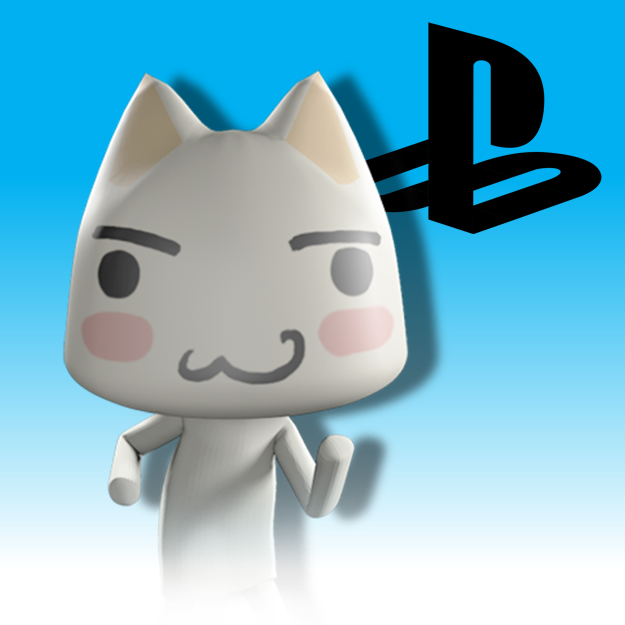 Toro has been Sony's mascot in Japan since the days of the original Playstation. 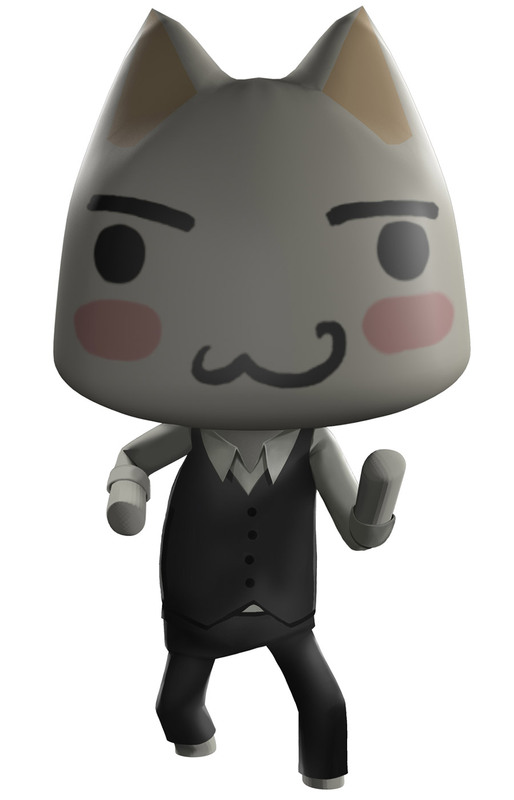 His real name is Toro Inoue and he's also known as the "Sony Cat". 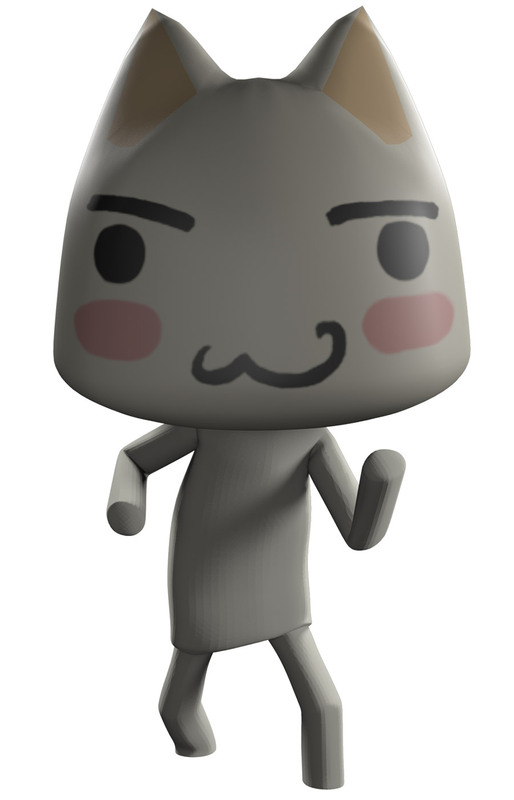 Toro first appeared in July 1999 as the main character in the video game Doko Demo Issyo for the Playstation. 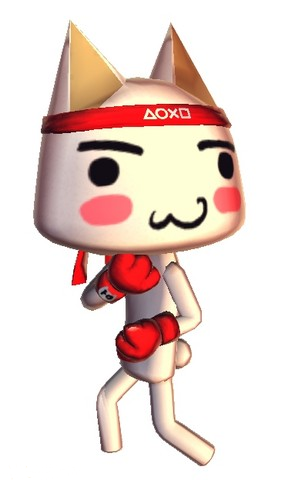 Toro also makes an appearance in a wide variety of other Playstation titles, including: Ape Escape Million Monkeys, Dokodemo Issho, Mainichi Issho, Everybody's Golf 5 and White Knight Chronicles 2. 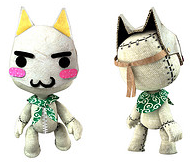 Toro "costumes" also appear in LittleBigPlanet and Tales of Graces F.
Toro and his friend Kuro made their official fighting game debuts in the Playstation 3 and PS Vita versions of the Street Fighter X Tekken, where Toro mimics Ryu's fighting style. 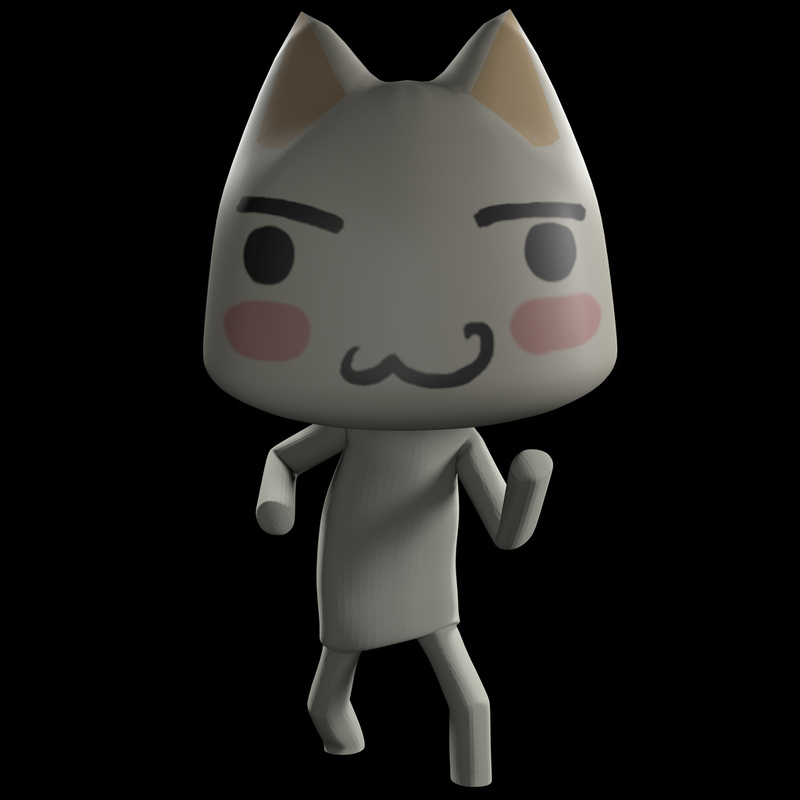 Toro is also a playable character in the fighting "party" game, Playstation All-Stars Battle Royale, with Kuro assisting him during one of his attacks. 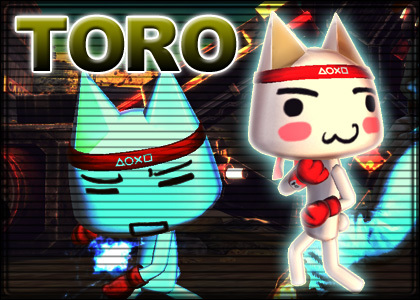 Toro's Street Fighter X Tekken bio describes him as "the cat who wants to be human". 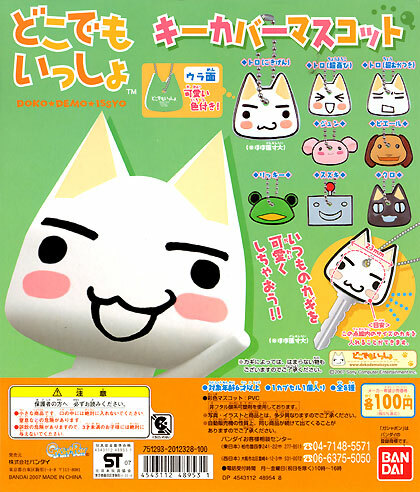 Lonely but pampered, Toro is a cat that is very pure-hearted and simple-minded. Toro awakened the power of the Hadou while attempting to remember as many words as possible in a quest to become human. 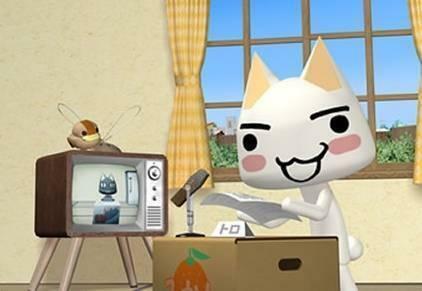 Toro loves tuna, wrapped fermented beans, shrimp, and is an accomplished sewist. 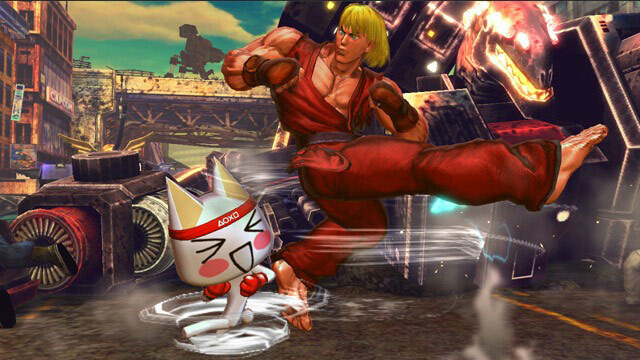 While I'm sure some people were a bit "put off" by Toro the Cat appearing in Street Fighter X Tekken, he's a design that wasn't meant to be taken seriously... I actually think he's a pretty hilarious character. 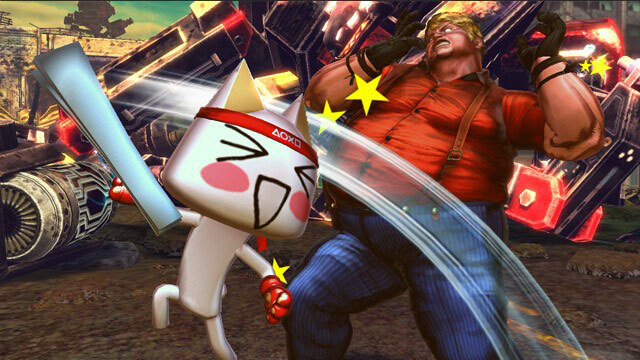 Early on, I was hoping that SF X Tekken would be a more "serious" game, but after seeing all the silly stuff Capcom ended up doing with the game, the inclusion of Toro the Cat hardly surprised me.